Does it create an unfair burden on people to enforce their right not to be discriminated against? 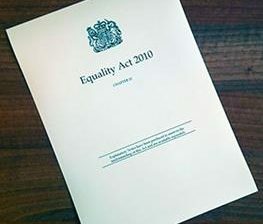 The Women and Equalities Committee has launched an inquiry into the enforcement of the Equality Act 2010 – legislation which was designed to “provide a legal framework to protect the rights of individuals and advance equality of opportunity for all”. Currently, individuals can take legal action to enforce their right not to be discriminated against, mostly through employment tribunals and county courts. However, the Committee’s work in a range of areas has shown that individuals have difficulties enforcing their rights under the Act and has questioned the effectiveness of the Equality and Human Rights Commission (EHRC): inquiries on pregnancy and maternity discrimination, transgender equality, disability and the built environment, workplace dress codes, older people and employment and sexual harassment in the workplace all identified widespread problems with enforcement. The Committee has already made recommendations to improve the enforcement of the Equality Act in specific areas. greater action by regulators to tackle discrimination in the organisations they oversee such as pregnancy and maternity discrimination or sexual harassment in the workplace. The Equality and Human Rights Commission also has duties and powers to enforce the Act and it has said that it wishes to become a more ‘muscular’ regulator. The Committee now wants to know what more needs to be done to achieve widespread compliance with the Equality Act 2010 for all those with rights under it. Whether the Commission’s role as an enforcer is widely known and understood and acts as a deterrent to discrimination. And whether there are other models of enforcement – in the UK or other countries – that could be a more effective means of achieving widespread compliance with the Equality Act 2010, either overall or in specific sectors. Written submissions should focus on the enforcement issues set out in the terms of reference. This could include, for example, barriers faced when trying to bring a case, but it should not include detailed descriptions of individual cases themselves. Please note that the Committee cannot look at individual cases or accept submissions about cases that are currently before the Courts. And submissions that do not address the issues set out in the terms of reference may not be accepted by the Committee. Please send your submission using this written submission form. The deadline is 5 October 2018. The chair of the Women and Equalities Committee, Maria Miller MP, said: “Many of our inquiries inevitably focus on the problems with enforcement of equality legislation and critique the role of the EHRC. “This inquiry will provide the opportunity for a more systematic review of the causes and identify possible solutions. “We want to look at whether the Equality Act creates an unfair burden on individual people to enforce their right not to be discriminated against. How easy is it for people to understand and enforce their rights? How effective is enforcement action? Are tribunals accessible and remedies for findings of discrimination effective? Is the EHRC able to do its job properly? Those are just some of the questions we are seeking to answer.